When David Goffin takes the court against Roger Federer on Saturday, he’ll be hoping to channel his shocking win over the Swiss at last year’s ATP Finals. Federer, 37, will be hoping to channel the six other wins he’s earned over the 27-year Belgian dating back to 2012. Goffin completed an impressive quarterfinal upset over world No. 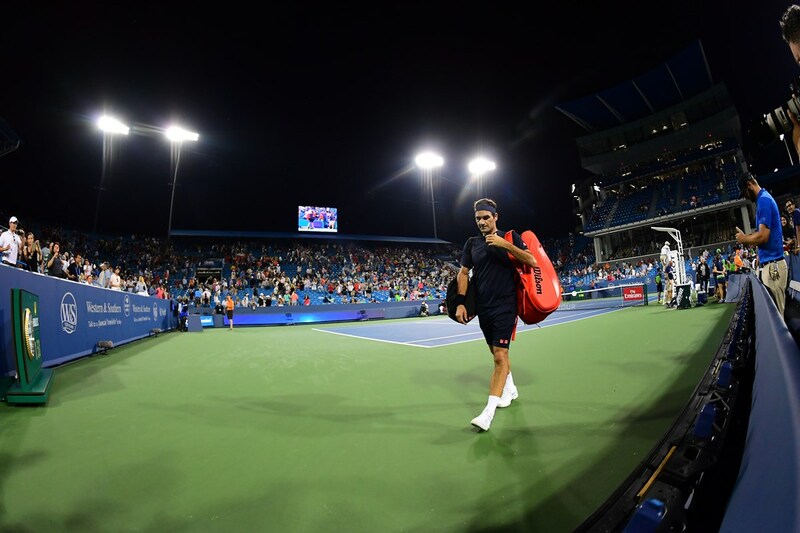 3 Juan Martin del Potro on Friday evening, while Federer, a seven-time Cincinnati champion, wrapped up his three-set win over countryman Stan Wawrinka just before midnight. They won’t take the court on Saturday until at least 7:00 pm. After notching two wins each on Friday thanks to Thursday’s rain, both players will be battling potential fatigue on Saturday. May the fittest man win. Talk about a dream run. Aryna Sabalenka’s wins in Cincinnati include Johanna Konta, former champion Karolina Pliskova, No. 6 seed Caroline Garcia and world No. 13 Madison Keys – and she’s making it look easy. The hard-hitting 20-year-old from Belarus will face her toughest test yet against world No. 1 Simona Halep as she looks to reach her third final of 2018. If you swing by this match on Saturday, wear your tank top – both of these players are hot as Cincinnati on a summer day (when it’s not raining). Kvitova has captured five titles in 2018 and will play for a spot in her first Cincinnati final when she faces 26-year-old Bertens. “I'm hungry to do well again, so I'm not satisfied at all,” Kvitova said following her three-set quarterfinal win over Elise Mertens. Bertens reached her career high rank of No. 15 in the world this spring after capturing a title on clay in Charleston. She followed that up with her second trip to a Grand Slam quarterfinal at Wimbledon. Bertens’ straight set quarterfinal win over world No. 7 Elina Svitolina sent a clear message to Kvitova. Ready or not! Here she comes.